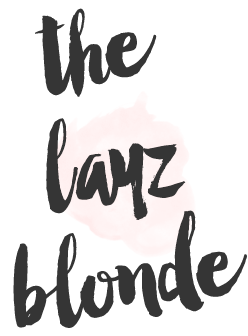 the layz blonde : beauty | interview with my hairstylist Claudia Cruz from The Great Studio & all the info on my hair! This is probably the MOST requested blog post from back in p&b days and I finally got around to doing it. 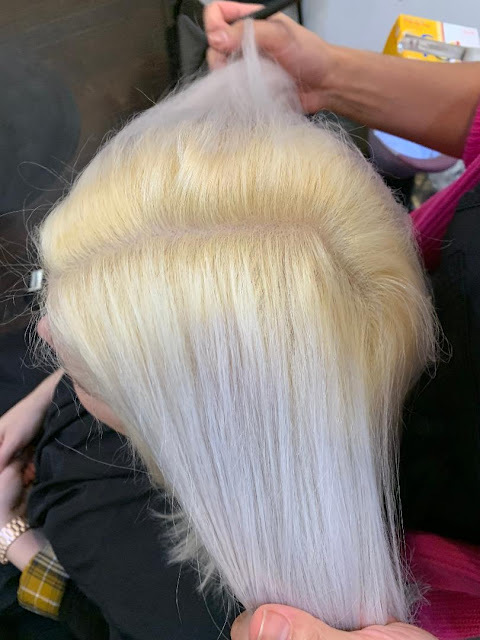 Last time I got my hair done, I interviewed my hair dresser to get to know her more & so I can finally share how we get my hair color with all of you! TLB: How long have you been? My mom owed a salon before while I was in school where I worked as an assistant sweeping the floor and wasn't hands on at all. I learned everything in school. I never ever thought I’d be a hair dresser-I'm way more of a tomboy. Claudia: Changing the person and how they feel about themselves. Even the smallest change. Any time I have tears in the chair and get to watch someone gain confidence cause of their hair, is a good day. If someone comes in and hasn’t been able to achieve what they’ve wanted with other stylists and I can get it done, I love that moment. I love a good challeng! TLB: What's your biggest work accomplishment? Claudia: I have two; I was nominated for Behind the Chair One Shot Awards aka the Hair Grammys! Which is a hairstylists competition that is open up worldwide and over 70,000 stylists entered. Only 2,500 are chosen. My other biggest accomplishment was when I worked with Redken and went to NYC with them for a few days. I got to go to the offices and everything. TLB: Who is your celeb hair inspo? TLB: Fave celeb hair stylist? TLB: Fave hair IG to follow? TLB: What’s next for you? Claudia owns The Great Studio with her fiance Alex who holds it down as the barber. Besides owning the salon, she's a mom of 2 beautiful kids and is currently in school to become a RN who can specialize in cosmetic procedures to hopefully bring that to the salon in the future. Local babes! 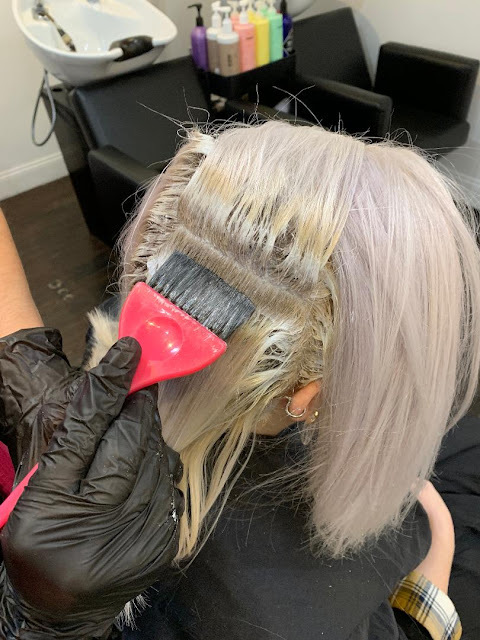 Book today with Claudia or any of the other fab stylists in the studio, I promise you will leave there feeling your best! Now on to how Claudia accomplishes my color perfectly, every single time! 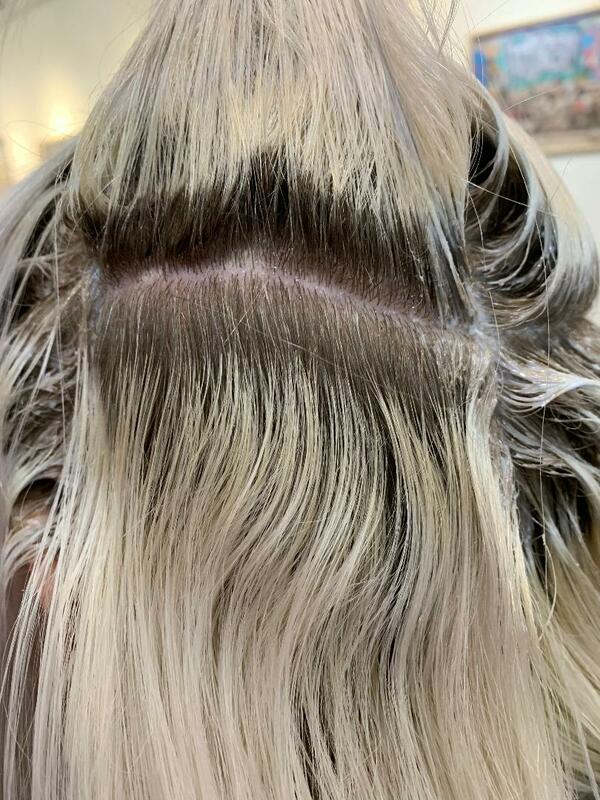 My hair process-(products and formula listed below); Every 6 weeks, I'm at the salon for a process of lightening the regrowth with lightener. Claudia adds bond builder to maintain integrity of my hair. 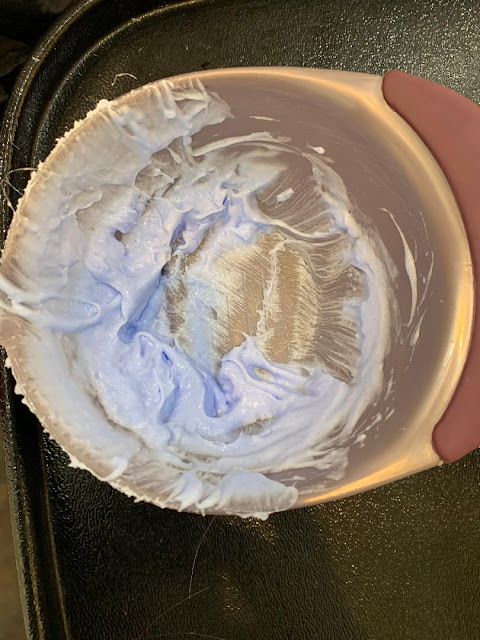 Once the color is applied it sits for 30 minutes. Then it's to the sink to be washed and then two stylists blow dry my hair. Talk about being an extra bish. 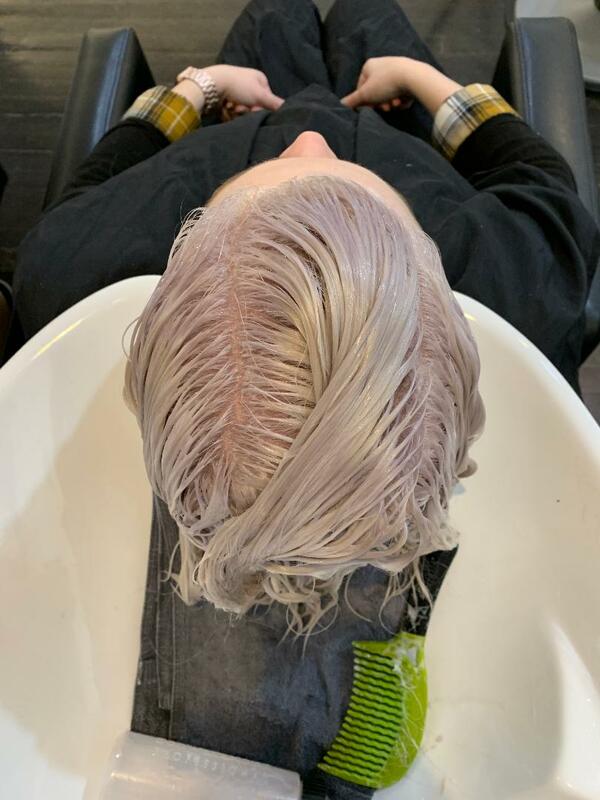 Now it's back to the coloring chair for a reprocess of the roots again with another 30 minutes-aka just repeat step 1! Once the 30 mins are up, back to the sink to wash & tone. Claudia constantly brushes it through for 5 to 8 minutes. Last it's time to blow dry & style! This is so cool! Love how you gave all the steps and showed her work off! Wish I lived closer!! Such a great interview and an even better post! Love your hair! Thanks so much, Dena! Xo!